It’s time to hog all the glory this year, my friend! People close to you know you as the hardworking and faithful friend. Some might even say that you’re stylish as well, serving some of the best looks around town! It’s no wonder that you put a lot of thought into your day-to-day outfits. This year, everything you desire will come rather easily to you (it is YOUR year, after all! ), and luck and success will help your self-esteem greatly. Anticipate new friends this year as well, as many will be attracted by your beneficent and lucky aura. However, word of caution: not all these new friends come bearing good intentions to be aware of these individuals! Since the Year of the Dog bore a number of hardships for you, it’s only fair that you desire more than ever to seize happiness this year so enjoy the new wind and reap with delight the fruits of your labour and good fortune in 2019! As a gourmet of the group, don’t be shy to splurge your newfound wealth on delectable spreads and the best eats in Singapore. From popular buffets to everyone’s favourite spots, dive in and enjoy yourself – you deserve it! As one of the most intelligent animals of the 12 Chinese zodiac signs, the choices that you make are pretty solid and you know it too – which can also mean that you get stubborn about what you like and what you don’t like. For the Lunar New Year, be prepared to face a period of change and transition. This will cause a shift in your routine and you’ll feel anxious to restructure life, but don’t jump into huge projects just yet! It’s best to start planning and taking baby steps throughout the year, and use this as an opportunity to reflect. It’s also recommended to embrace life a la Marie Kondo and clear out any unwanted junk to make room for optimism. Things can get stressful at work as well, so make sure to take care of yourself and don’t skip meals! Traditions are your foundation, loyal Ox, but you’ll need to be aware not to get carried away with your legendary tantrums! While 2019 starts off on a somewhat ambivalent note, things will start getting rather bumpy as the year progresses. But perseverance is your second nature, so you’ll still manage with resistance and determination throughout the year. You will be tempted to seize opportunities to sow new seeds and strive to turn your projects into profitable undertakings. From experiencing a disappointing Year of the Dog, you may be cautious to pursue your ambitions at first but fret not: take comfort in knowing that your investments will ultimately be extremely beneficial towards the end of the year, while developing strategic partnerships along the way! It’s about to be a fruitful year for you, dear Ox, so treat yourself to some fancy dining options to satisfy your cravings. From Modern European flavours to exquisite French cuisine, take your pick because the world is your oyster! There’s an attractive air about you, charming Tiger, and you know you’re gifted with irresistible magnetism even if you don’t usually acknowledge it. You’re no stranger to having all the attention, which may explain why you need a job that allows you to express yourself as a leader. However, 2019 will come as a challenge for you, so prepare for twists and turns that may put you in a rough spot. But with your courageous (and sometimes reckless) personality, these are challenges that you can easily overcome. Take heed to find solace from the comforts of your own home so that you can make a clear and objective assessment of what you have struggled with in the past and learn from them. It is also best to steer clear of going on solitary trips, and avoid interfering with events that don’t directly concern you! That said, as long as you keep a good head on your shoulders, good surprises and beautiful gifts await towards mid-2019 – one might say even romantic! Planning on wooing that special someone? We’ve got you covered with these top romantic spots for your upcoming rendezvous! While others may see you as gentle and mild, they really shouldn’t underestimate your clever wit and strategic mind. Extremely diplomatic and independent yet grounded when it comes to matters of the home, you’re a dear companion that everyone would love to have on their side. Your mellow temperament may come off as lazy to some, but truth be told – you just like to take things easy! In the Year of the Pig, family relations take centre stage where you’ll enjoy an abundance of luck and prosperity. Lady Luck is shining the spotlight on you this year with an increased peace of mind too which will bring happiness in other areas of your life. Keep your family closer this year, brave bunny, and shower them with the love they deserve! Nobody’s more of a stunner than you are, majestic Dragon! You’re flamboyant and love a good party, which makes it extremely easy for you to become the life of the party. People love you, and you’re pretty aware of that as well. Success comes easy for you, and you relish in the rewards you reap. And much like your glamorous life, the Year of the Pig sees it fitting to bless your year with happiness, joy, and prosperity. Just continue living your amazing life, Dragon babies, and you’ll once again find opportunities that you have yet to achieve the year before. It’s also a resplendent period to leap into new adventures; take the plunge and try new things for a change. You’ll never know what you’ll discover along the way! Out of all the zodiac signs, none can pull off a suave and cool demeanour like our dearest Snake. Elegant and refined characters, you are never one to doubt yourself and why should you, when you know you’re good at what you do? You are also endowed with a subtle and captivating beauty which helps you avoid money problems unlike most of the other Chinese zodiac signs. This year brings a mixture of good joy and good humour with a dash of difficulty, however. Many disappointments abound, mostly caused by imperfections and delays in your daily life. It may test your nerves for once, but don’t lose your cool just yet! Stay persistent and double your efforts to maintain the balance in the Year of the Pig. Need a little pick me up? Here are some goodies to help cheer you up, because everyone needs a little help every now and then. As the most free-spirited Chinese zodiac, you are known for your proclivity for travel, our dearest equine friend. Culture and society are your passions, and you are extremely comfortable in settings that allow you to share what you know about different cultures. However, your tendency to shrink responsibilities due to your insatiable desire for freedom may prove to be a challenge when it comes to completing projects! Nevertheless, the Year of the Pig beckons for stronger social ties and a clearer prioritisation towards activities that have long been neglected. Devote yourself to leisure, arts, and interior decoration to help relieve stress as well; rejuvenate at home with family and friends so that you can retain your strength to set up ambitious future projects. This year seems to be marked by pleasure and gluttony, signalling for heightened social activities to strengthen the bond on the occasion of good meals with friends. Looking for your next spot to hang out at? Try these happening bars and tapas houses around town, and let the good times roll! Everyone loves having a Sheep friend; with your intelligence, generosity and pragmatic outlook, having you around is always a charm. You are elegant and also refined, but have a tendency to be indecisive and will complain when you’re not in a good mood. For someone like you, embrace highly stimulating activities such as surprises and parties because you never know when you’re going to find love in the right places! Even with a carefree attitude, you should still make an effort in maintaining a reasonable vigilance to preserve your well being. Be mindful of your strengths and weaknesses so that you can understand yourself better, applying it to everything that you do. You can also plan trips with your family and friends to cheer yourself up this year! Love, exciting discoveries, and new experiences are all aligned with your year, so seize the opportunity when you can! There’s a reason why Curious George’s character is a monkey – your inquisitive mind and agile personality makes you a powerhouse for ideas, dearest Monkey. You are also exceptionally sharp at detecting events before they even happen, and that comes in handy! Hardships were fought and won last year, and you continue your journey with a positive outlook. 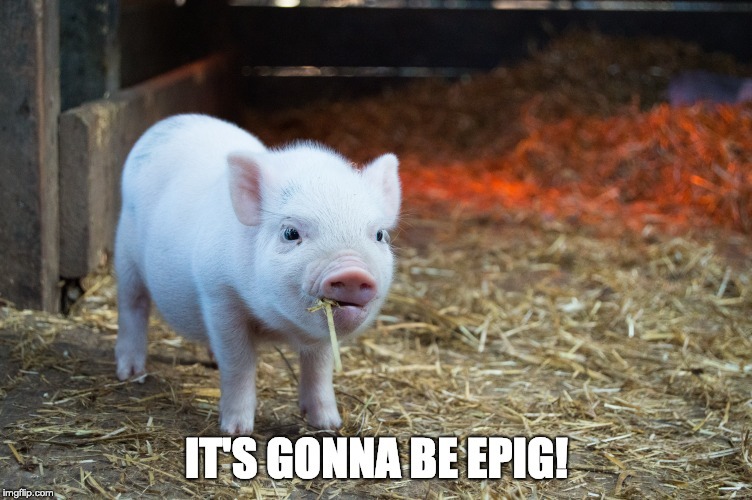 With the Year of the Pig, it’s time to take advantage of the new year and embark on new activities! Bulk up your contacts and start socialising; however, don’t neglect your loved ones as they need the attention too. Show that you care for them by filling up their tummies! With off-peak deals up for grabs, as well as 1-for-1 buffets and more great offerings from Chope Deals, pampering your family is as easy as pie. The Dragon may be the most flamboyant out of the zodiac signs but the regal Rooster also takes the cake as being just as magnificent, often eccentric and deeply conservative too. The feisty bird is also a born competitor, always geared up for a challenge and wanting to win no matter what! Your victories always come showered with attention, which you secretly adore. Great healing is predicted for you in the Year of the Pig, dear Rooster. Take this opportunity to reset and recharge your batteries, especially from past wounds and little hiccups along the way. It is also predicted that unexpected problems from the past will return, so remind yourself to be careful and mindful as you go along in 2019. Amidst the chaos and challenges, always remember to give yourself a break and relax, either over a good meal or a great view to unwind with – or both! They say that dogs are a man’s best friends; indeed, with someone so sympathetic and intelligent, who wouldn’t want to befriend a loyal Dog? With roots grounded in home life, you are honest and faithful, treasuring safety and solitude above all else. Last year was your year so in the Year of the Pig, it’s time for you to take a step back and relax. Take the necessary time to rejuvenate in the peace and serenity that your home offers, so that you can draw strength for business meetings that may come your way this year. You can also treat yourself to simple pleasures as well, but word of caution: don’t let it get in over your head!